Comedy can date very fast. But some comedians stay funny. Groucho Marx was one of them. He made millions of people laugh right to the end of his eighty-six years on earth. He passed away on 19 August 1977, but his films are still making people laugh. He had a simple way to make himself recognized: he wore horn-rimmed glasses, created an exaggerated moustache and eyebrows with greasepaint, walked with a stoop, and waggled a cigar. 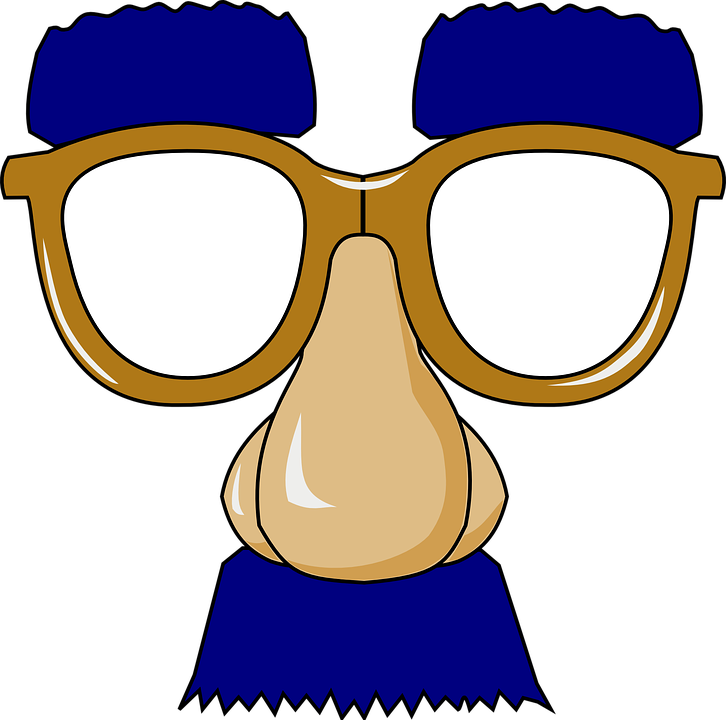 You can still buy “Groucho masks” to make yourself look like him. What you can’t buy, however, is his quickfire wit and charisma. But he didn’t have them from the beginning: he had to hone his craft with hard work. He was born into a Jewish family in New York in 1890, the third of five brothers. All of them went into show business, becoming famous as the Marx Brothers after a long climb to the top. They became Broadway stars in New York, then travelled to Hollywood for even greater success on the silver screen. The comedies they made before the Second World War, like Monkey Business (1931), Duck Soup (1933) and A Night at the Opera (1935), were huge hits around the world. In those days, theatre and vaudeville were big influences on cinema, because that is where so many actors and actresses had learned their trade. Comedians were still using big gestures and slapstick, because there are no close-ups in the theatre and people sitting on the back row have to be able to understand what’s going on as easily as people sitting at the front. Groucho and his brothers – Chico, Harpo, Gummo and Zeppo – were firmly in this tradition. In fact, Harpo didn’t even speak: he relied on gestures and props for his comedy. His wit put him at the centre of every film he appeared in and it would be his fame that endured as a new generation of comedians began to replace the Marx Brothers at the top of the bill. After the war, he became a familiar sight on the small screen, making television programmes and appearing regularly as a guest on chat-shows. His moustache had been just greasepaint, but by then he had grown one for real. He was wearing glasses for real too. One thing that didn’t change was his comedic skill: he continued to make people laugh and impress his fellow comedians with his ability to improvise and ad-lib. But he noted that his reputation as a wise-cracker had a disadvantage: he couldn’t insult anyone for real any more, because his target assumed he was joking and laughed. Unlike many other comedians, he didn’t have a difficult or painful private life: he didn’t struggle with personal demons or become an alcoholic or drug addict. He enjoyed himself instead and his three marriages, each ending in divorce, were part of the fun. But he was saddened that his brothers Harpo and Chico had already passed away when he was awarded an honorary Oscar in 1974. By then he was frail and in poor health, but he was still making people laugh. He passed away himself in 1977. In accordance with his wishes, he was cremated and his ashes went to a memorial cemetery in Los Angeles. That was nearly forty years ago, but Groucho’s comedy is still winning new fans thanks to the internet making his films and television appearances available to a world-wide audience. He was the longest-lived of the Marx Brothers and is still both the most popular and the most recognizable. In fact, the image he created was so successful that some people who wear a “Groucho mask” today don’t know who Groucho Marx was. The moustache, glasses and cigar are a cliché of comedy, but that’s a tribute to the king of comedy who put them together.